E.M.E boss - Banky W in an interview on RubbinMinds, a Channels TV program opened up on His relationship status, and ladies he had crushes on. The jasi crooner admitted He had a huge crush on Screen diva, Genevieve Nnaji and tried his luck with her but it didn’t work out. He said , “I tried but Genevieve is Genevieve. I had a big crush on her at one point but now we are really cool friends”. 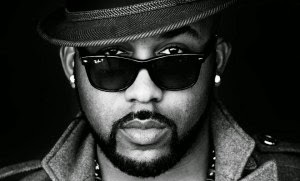 Banky W also revealed his crush on singer Niyola at the beginning of His career saying " he couldn’t ask her out because she was in a relationship and when she finally became single, E.M.E had signed Her and had assumed a big brother role in her life. The jasi crooner further said "the crush He had on her had died". He also revealed that he will be taking 2 and a half months off music to pursue a course in film making and directing in New York in September.